FK chats to Amy and Lindy, two great friends creating Scandinavian inspired designs with their label, Amindy! Tell us a bit about Amindy and what products we can expect to discover? Amindy is a project run by two twenty-something year old girls Amy and Lindy. 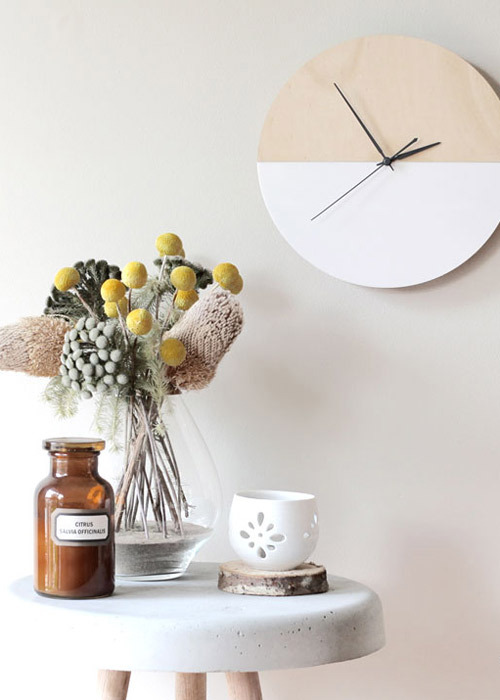 We are from the west of Melbourne, together on a mission to spread our Scandinavian meets Melbournian style, while creating fun home wares and accessories. We work closely with a new Geelong based laser cutting business, “Sketch & Etch”, to transform our very technical and somewhat plain looking drawings into colourful pieces, which are then assembled into products. We are constantly working on new smaller designs that we can create in grace using the negative space in the plywood or acrylic sheeting. This is to avoid excess waste of our materials. Waste not want not! We have been friends for around 8 years. Since we met we have always discussed artistic talent, local designers and our love for interior styling. Amy comes from a background of product design, recently designing the DIY kits for Urban Crafter sold nationally at Riot Art and Craft stores. Her study in Fine Art and Interior Design has pushed her to develop her career in interiors and product development. Lindy’s background and career is in sports medicine and health science, although has always dreamt about merging into a creative industry. Her passion for interior design, support for all things locally made and her keen eye for individual design has driven her to merge with Amy to form their own brand Amindy. During summer 2014, we casually passed the idea by each other that we could utilise a friends laser cutter to develop our own range. Through creative conversations over ciders at the beach, we decided to collaborate and create our own brand. Amindy was born. Since then we have attended design markets in Melbourne and Geelong, our social media is increasing everyday on Instagram and Facebook, and our products are now starting to appear in local home ware stores around Melbourne. We are inspired by each other through our keen interest for arts and crafts, to create those items that we love to have in our own homes. So we want others to show them off in their homes too! 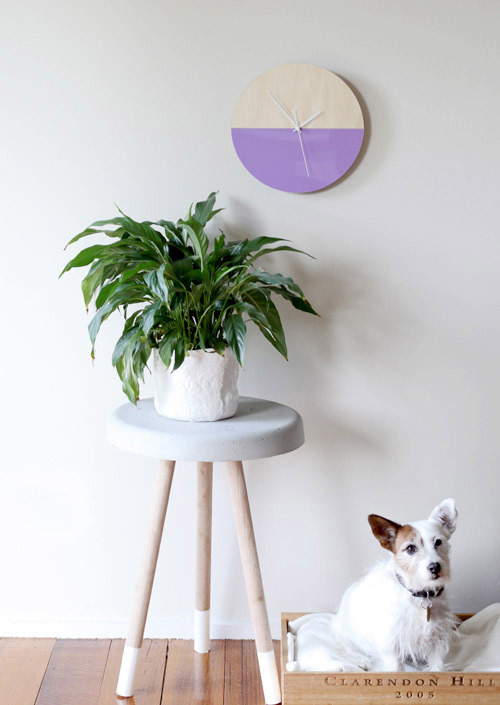 We have combined our passions for handmade products with minimal Scandinavian design to form our own Amindy look! 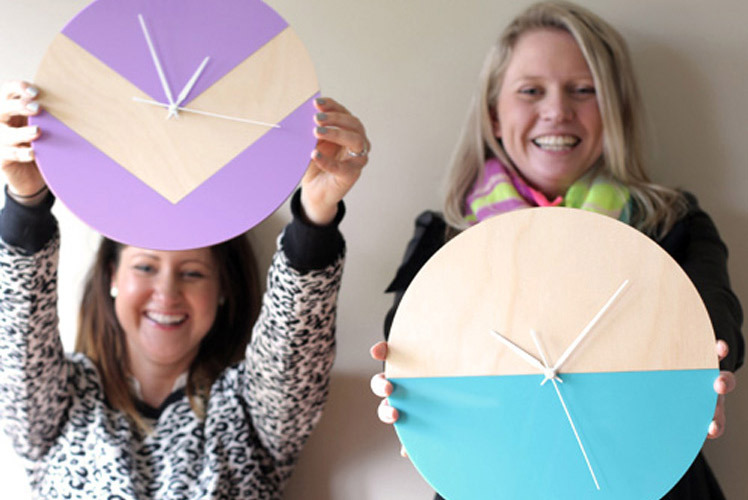 Our very first design to get our tick of approval was the Amindy Half Moon Clock. 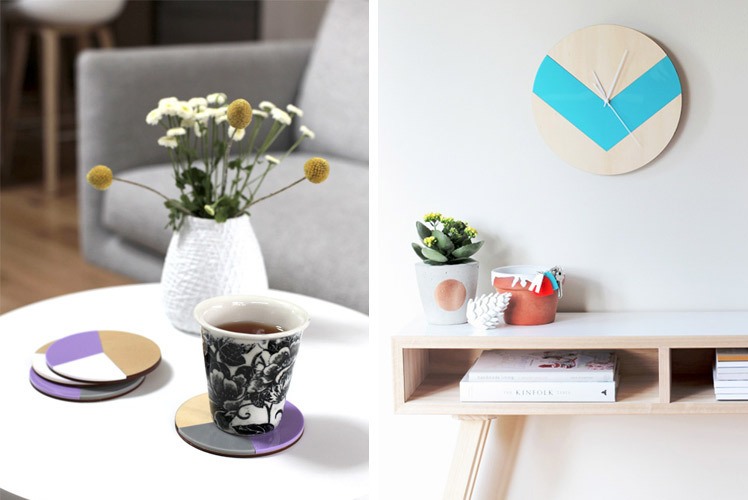 With our love for colour pop (this is the Melbournian influence) combined with a minimalist look (what we refer to as Scandi-style,) we then developed our V and Reverse V clocks, among other snazzy homeware and jewellery products. They say your dream job doesn’t actually exist; you’ve got to create it. So we have created ours. What do you love about living in Melbourne? We are Melbourne born girls, and both collectively have traveled extensively across all continents of the world and loved every moment of it. Call us patriotic, but without any hesitance we have always returned to our ‘hood’ in the west of Melbourne. Unsure of the reasons why exactly, it must be the ever-evolving way Melbourne embraces all things new in design and culture. 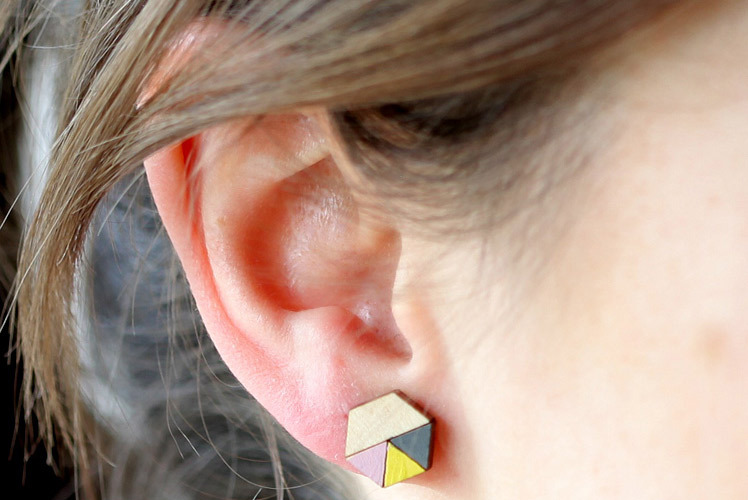 From fashion and style, to architecture and our great community of makers, crafters and creators. We wont lie, we have a massive crush on the outer Melbourne ‘burbs known especially for their coffee, art and cuisine choices too. Four seasons in a day, really isn’t that bad. Melbourne is our home. What we love, is when we have assembled the pieces that somewhat resemble a jigsaw into a finished product for the first time, and it just works, it is such an overwhelming feeling that the challenges don’t seem so bad after all. It is such an accomplishment for us to see our designs come to life. This always calls for a high five! We love having been accepted into such prestigious design markets in Melbourne and surrounds. The opportunity to be able to meet and greet our customers, who are often so full of compliments for our designs, is just the cherry on top. Positive feedback, including customers’ real life photos of their new Amindy products in use in their homes is a real thrill for us. The biggest buzz of all is the creative side, where we are always thinking and planning for the next products we can make. 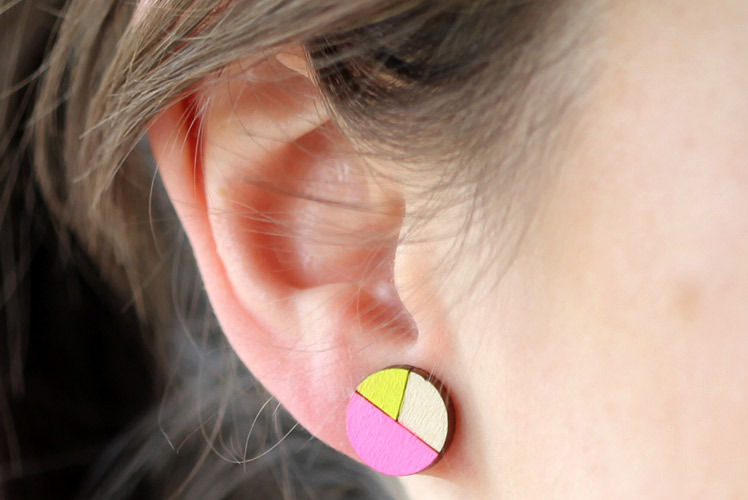 What can we expect to see from Amindy at the upcoming Melbourne Markets? More clocks! – Large and small YAY! More jewellery and designing new coaster designs as we speak.. In other words, much more variety of everything, in a bigger greater way. Oh golly gosh, we are so excited! !